Acequia irrigation practices originated in the highlands of Central Asia over 10,000 years ago and later traveled to places like India and the Middle East. As acequias were established in different areas from the Old World to the New, crops from these areas were incorporated into the diet and practice of acequia culture. By the time the acequia system arrived in the Americas in the 16th Century, it carried with it an entourage of crops and animals that represented its origins: apple trees and chickens from Asia, cattle and sorghum from Africa, and sheep and many legumes from the Near East, to name a few. The Old World acequia tradition was matched by incredible agricultural development of the indigenous populations in the Americas. Indigenous peoples were practicing many kinds of agricultural production that relied on intensive management of the landscape including dryland agriculture, floating gardens, agri-forestry, terracing, and flood irrigation, to name a few. The acequia concept came northward with Spanish and Mexican settlers and later included the crops and practices of Puebloan cultures as it took root in New Mexico. Over time a unique and integrated food system developed that can only be found in New Mexico. A mixture Old and New World foods, crops, and traditions developed into a regional food system that was mostly sustained by acequias. Communities relied on each other to provide the staples that could be abundantly produced in their respective environments. What could not be grown in particular areas was obtained through barter with other communities. For example, chile crops produced in villages of lower elevations could be traded with potatoes that came from higher elevations. New Mexico eventually experienced many changes of modernization, many of which have interrupted agricultural practices and our relationship to local food and acequias. Some lands shifted to pasture and alfalfa production, feeding our desire for dairy and meat products. Today, acequia production can be measured in the production of bulk commodities and smaller-scale specialty production that feeds farmers' markets as well as the continuation of traditional agriculture and food traditions. Many foods from the acequia continue to be cornerstone of local culture and regional cuisine, with specialty foods like chicos (dried horno roasted corn stew), tamales, posole, and of course chile, making appearances at least for holidays. Many others consume atole and chaquegüe (blue and white cornmeal porridge) regularly, crops that were grown in or originated from an acequia landscape. As a person looks to reconnect with local food, the best place to start is with what has worked in the past. 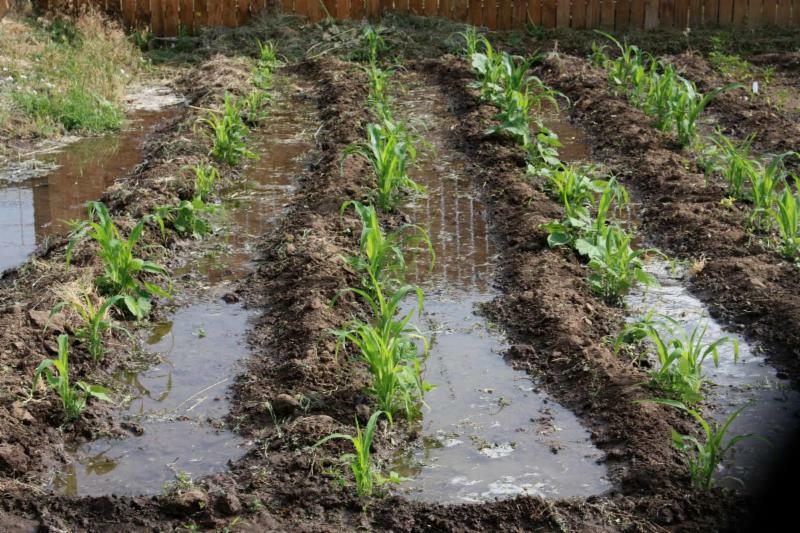 The acequia tradition offers practicality and sustainability for food production in our environment that can be characterized by alkaline soils, limited water, and potential weather extremes. Over the generations of agricultural refinement, acequia culture offers examples for the expansion of our regional food system in terms of community organization, resiliency in practice, and its relationship with incidental food production in the landscape. The term acequia not only refers to the physical irrigation channel, but to all the members who belong to it and help manage it. 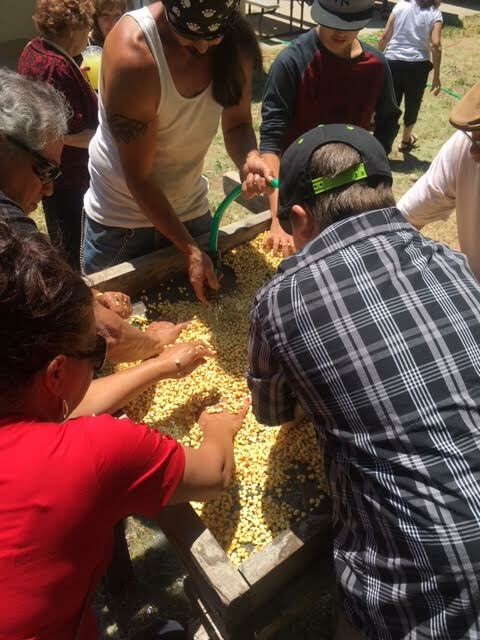 The local knowledge contained within the community and the organizational structure that keeps people connected to the acequia tradition will be important for strengthening our regional food system. Acequia communities manage resources like water and land together for mutual benefits in agricultural production. These relationships result in people coming together to continue the practices necessary in the production of food like cleaning acequias, picking up bales, or butchering animals (matanzas). The acequia tradition of agriculture can be described by the use of diverse crop and animal types and land use techniques in the watershed. Production takes on a seasonal character with different activities meeting each season. Root crops and certain grains can be planted in the late Fall; certain frost-tolerant legumes, roots, and other grains can be planted in the late Winter/early Spring; and most grains, legumes, and fruits vegetables can be planted in the late Spring and early Summer. Working with different crops at different times of the year can take advantage of potential qualities of each season, like temperatures and moisture, and can create the conditions for more sustainable yields over the long term. Acequia culture also carries with it the concept of "jardín de riso" and gathering the landscape, components of a regional food system that are likely to gain importance at we begin to feel the effects of a deteriorating industrial food system and climate change. The jardín de riso is the collection of wild plants that serve as food and medicine that happen to propagate themselves in the irrigated landscape as "weeds." Several varieties of wild spinach (quelites) and purslane (verdolagas) flourish amongst the crops in the acequia fields. The relationship acequias have with the extended landscape provides a connection to other food resources such as piñon, chimaja (wild parsley), and other food and medicinal plants. In this tradition, gathering from the landscape can strengthen our regional food system by making use of wild plants such as four-wing saltbush and Indian Rice grass. These food sources were an important part of the diet of indigenous people of the region prior to European contact and thrive in our landscape. It is inevitable that there are some challenges to our food security in the future. But these challenges can be met by innovations in our relationship to food if they are based on what has worked in the past and develop in a manner that is respectful to the environment and the cultures from which they come. Acequia agriculture has been cornerstone in the organization of the community and the actualization of food security and can and should continue to play a fundamental role into our future. Then our regional food system will serve not only the food needs of our population, but will allow the continuation of our longstanding agri-cultural traditions in New Mexico. 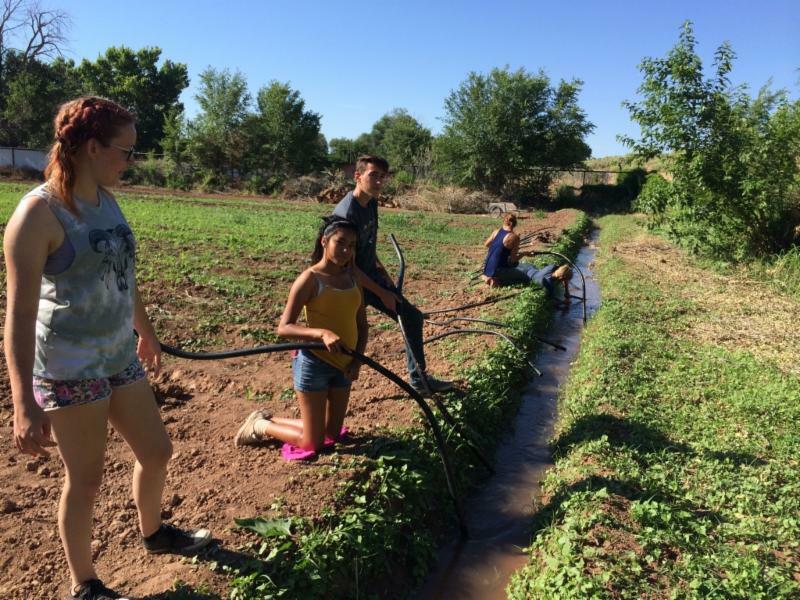 The acequia landscape has changed, but every square foot of land connected to the acequia now represents a great part and potential of our regional food system and its ability to feed us from our communities.